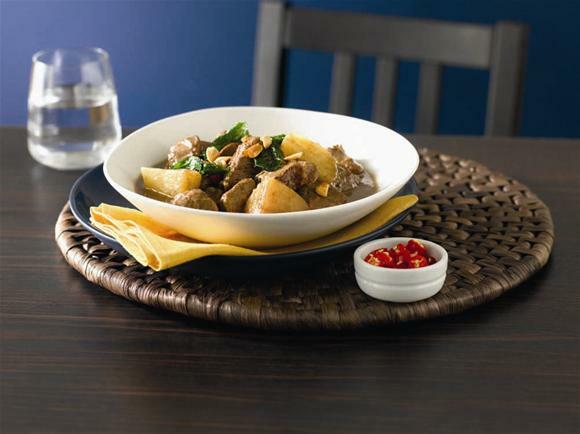 Cooktop method: Place the browned beef, garlic, ginger and curry paste in a heavy-based pot. Cook over a low heat until the curry paste is fragrant. Add the stock. Partially cover, keep the heat low. Stir occasionally, add water if needed during the cooking time to keep ingredients just covered. Simmer until the beef is almost tender. Add the coconut milk, potatoes and fish sauce. Cook for a further 30 minutes, or until beef is very tender.